It has already happened. Three kids were out sick from my kid’s classroom. I know that means the germs are coming — so it is time to get ready to fight back. School season seems to make the germs stronger. As parents we can sometimes feel that there is no way to combat the germs the kids encounter while at school. But there are lots of ways to help our kids stay strong in the face of germs. Eat healthier foods to promote wellness fruits, veggies, and proteins are great try to cut out or lower foods filled with fats and sugars since the cause the system to slow down and not be able to combat the germs as they are introduced. Make sure that your kids had a solid sleep routine. The hours of sleep can make a difference in how an immune system rebuilds and cares for itself. Try to promote good sleep with a regular bedtime routine. HAND WASHING! We have heard this one a million times and it seems like a no-brainer. But honestly that is because it is so true. Germs come from the surfaces we touch everyday. Then we touch our face and the germs latch right on to the mucus membrane and implant themselves. Washing regularly minimizes this. Make sure your kids wash well, with warm water, and soap. The most important part is to scrub hard. Make sure they create lots of friction to the entire hand (even between fingers and under nails!) Supplying them with hand sanitizer at school makes a huge difference too! Do not share ANYTHING!! Sharing food, food utensils, and other gear at school is a very quick way to contract germs. If you must share balls, books, etc at school then be sure to properly wash hands after. Washing backpacks and lunchboxes periodically makes a difference as well. Lunchboxes can be washed with some warm water and soap and left to air-dry. So can most backpacks. You can also use sanitized wipes or essential oil sprays like Thieves spray. Try to eliminate stress or minimize it by keeping the kids active. Give them lots of outdoor time. They can play, burn off energy, get fresh air, and vitamin D from the sun. It can also aid them in getting better sleep! 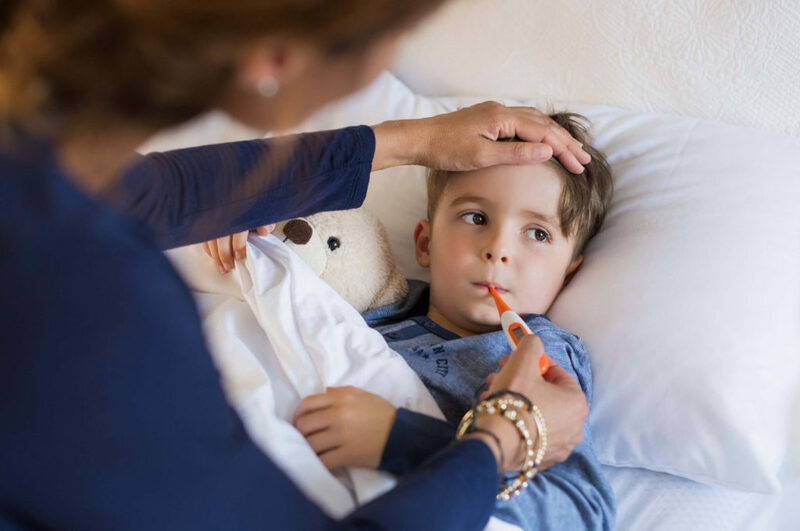 These all seem like simple solutions (and you must be thinking they won’t work, or I already do most of these) but by keeping these small routines in our day we can help make this germ season a little less yucky. This entry was posted in Health and tagged Cleaning, germ prevention, germs, Health, healthy kids, parenting hacks, parenting tips, School, school germs, staying healthy, the boys store on September 7, 2018 by Lacy. If you are anything like me, which I can bet you are, you are always looking to improve. Whether you are looking to improve mentally, physically, emotionally, or in this case — as a parent. My children will be home for summer break in a few short weeks, and by weeks I mean TWO. Since I am fortunate enough to run a small-business and a non-profit I am home most of the summer in order to be with them and avoid using child-care, I just work from home. I am also fortunate enough to bring my children in to work with me. However, just like every other parent in the world my children get bored, they act out, they are loud — after all, they are CHILDREN. I know that this behavior is normal, but thee are ways to combat them. During the summer when I am home with them I try to be understanding of all of this, and their inability to completely handle and express their emotions and frustrations. But it can be hard for me too. I am busy, I am still working even though they are home to play. Tensions can run high for all of us. So every year I try to do a small “brush-up” on child development, I try to learn a few coping mechanisms to get us through with minimal blow-ups. This year I found this little reminder. I wanted to share it with all of you in case you too need a little reminder sometimes in order to get by. This summer I plan to utilize some of these. I know that there will still be hard days, but that doesn’t make them bad days. See I am already being optimistic! This entry was posted in Learning and tagged child development, effective parenting, Health, learning, parenting, parenting hacks, parenting help, parenting kids, parenting tips, parenting tricks, summer, summer time, time with kids on May 22, 2018 by Lacy. When we were growing up we did a lot of family vacations. In the early days, we did a lot of camping, we went to lakes, the beach, and some national parks. I still have a very vivid memory of driving through a Redwood tree. As we got older we went to more places and stayed in hotels, mostly we traveled by car because flying with 3 or 4 kids (depending on if our older brother stayed home or went with us) was expensive for my folks. We flew occasionally, especially if the trip was far away. But since there were so many of us it tended to get crazy. I knew when I began my own family that I wanted my kids to experience life, to have more great memories than great toys. So we decided early on to gift experiences as well as “stuff.” We discovered that our kids were just as excited to go to new places as they were to get things. Of course, we always do a little souvenir at each place we visit, but it is usually something small and aligns more with memorabilia than toys. We make sure to use a travel agent when we plan big trips that include plane-fare, hotel stays, and rental cars. You might think no that it is cheaper to find your own deal, but when it comes down to it the agents find better deals because hotels and airlines make package deals with them and each agent has a reward account with one or more hotels and airlines. We also maintain a rewards credit card that earns us travel points. That way when we use it we earn more rewards. As far as traveling with small children you might be surprised how easy it really is. 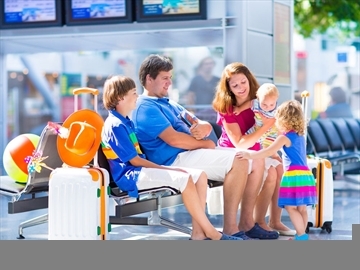 Most airlines allow for one free car seat and one free stroller check per person. So you do not even have to pay extra to bring them. Children under two can fly on a parents lap for free. And as long as you prepare flying with kids can be fairly uneventful. pack lots of snacks, toys, coloring books, and bring headphones for over their ears. Airlines usually have entertainment centers with games, music, and movies available for free now. They even stock kids favorites, including tv shows, and new release movies. However, airlines only give out earbuds for free. So if you want a small child to enjoy the sound bring good headphones. Try to get a window seat, that way kids can watch outside during takeoff and landing. Also, try to make sure kids are snacking or chewing gum during takeoff and landing. It helps alleviate the pressure in their ears. Moms who breastfeed can even nurse their baby or toddler during those times, it too helps with pressure. You know your child best, you know their schedule and routine, and their fussiness factors. We have discovered our kids fly best mid-morning or just after dinner. That way they nap or sleep throughout the flight with small windows of wake-fullness. So think about what times are best for you and your kids. When you fly with kids try to make sure you arrive at the airport more than two hours ahead. Traveling with car seats and strollers means checking them into bulky and oversize baggage check which means standing in line, you cannot do self-check. So allow for extra time. Travelling is fun, it can be stressful but it is also very rewarding. So don’t be afraid to travel with kids. This entry was posted in Activities and tagged parenting hacks, the boys store, tips, tips and tricks, travel, travel with kids, travel with young kids on April 13, 2017 by Lacy.